Here's a simple patent pending invention that will leave you saying, "Why the heck didn't I think of that!" 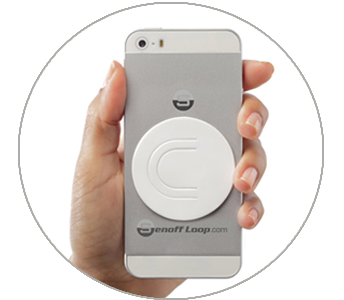 The Senoff Loop is a practical cell phone accessory that enhances your touch screen experience. 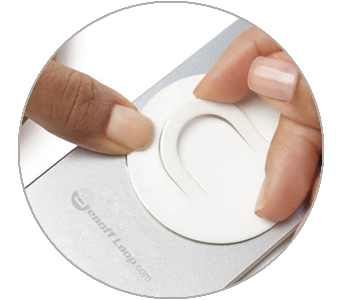 Senoff Loops are so simple to use, everyone will enjoy them! 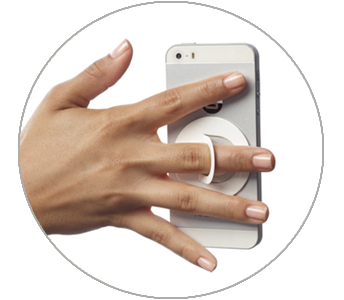 By simply inserting your finger through the Smart Loop, you can comfortably hold AND operate your touch screen with one hand, while gaining full mobility of your thumb to operate your screen without the fear and frustration of dropping your phone. You'll enjoy a new experience of texting, gaming, photographing, browsing, and reading on your phone. All with one hand! 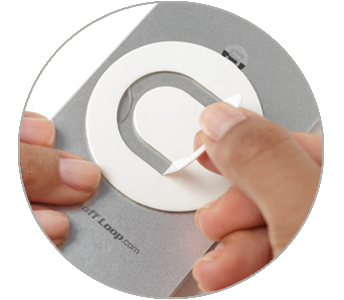 The Senoff Loop securely sticks to the back of your personal electronic devices, yet can be easily and cleanly removed. The Senoff Loop is protected by four design patent applications, one utility patent pending application and one provisional patent application for its releasing mechanism. The Corporate Gift Your Customers And Employees Can Use! Logoed key chains, pens, magnets, and coffee mugs are so old school ! Give your employees something new and exciting! For your next corporate event, give Senoff Loops designed with your exclusive logo. It will be the most useful gift your clients and staff have ever received. 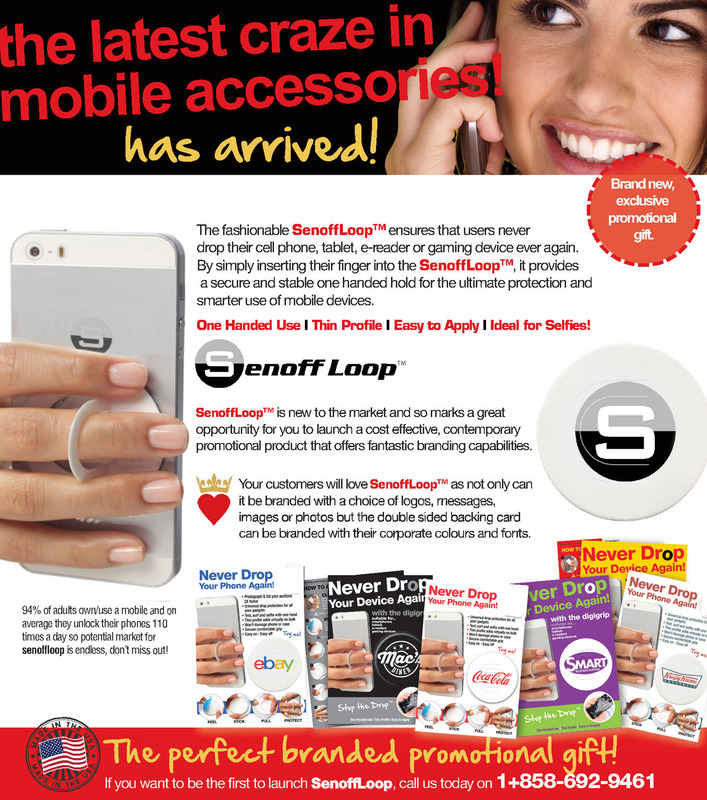 The Senoff Loop offers unlimited promotional advertising and branding opportunities with full color, photo quality, high resolution graphics.The Senoff Loop is lightweight, waterproof, thinner, more solid, more portable, and less expensive than any product of its kind on the market. 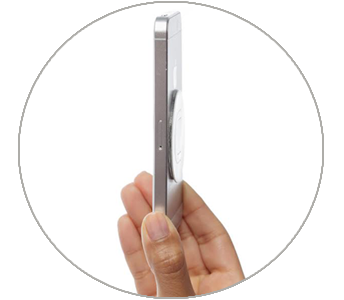 The Senoff Loop is the lowest profile device of its kind, measuring only 1/16 of an inch thick, so you can seamlessly slip your phone into your back pocket. read more.